Shares up after results confound expectations. Facebook shares jumped 12% in trading following a strong set of 2018 figures for the social media giant, including a 38% increase in annual ad revenue. 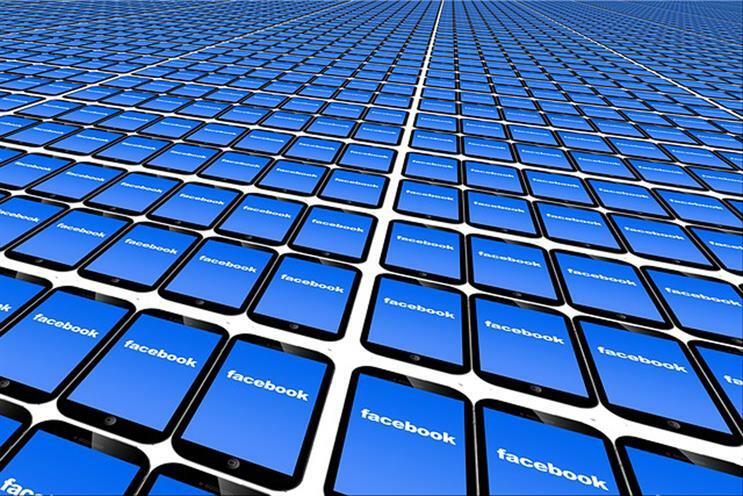 The company posted $55bn (£42bn) in ad revenue last year, making up nearly all of Facebook’s total income. For the fourth quarter (ending 31 December 2018), ad revenue was up 30% to $16.6bn. This was all despite a year in which Facebook was embroiled in a multitude of scandals, such as the Cambridge Analytica data breach and use of the platform to spread fake news and political disinformation, prompting founder Mark Zuckerberg to issue multiple apologies. 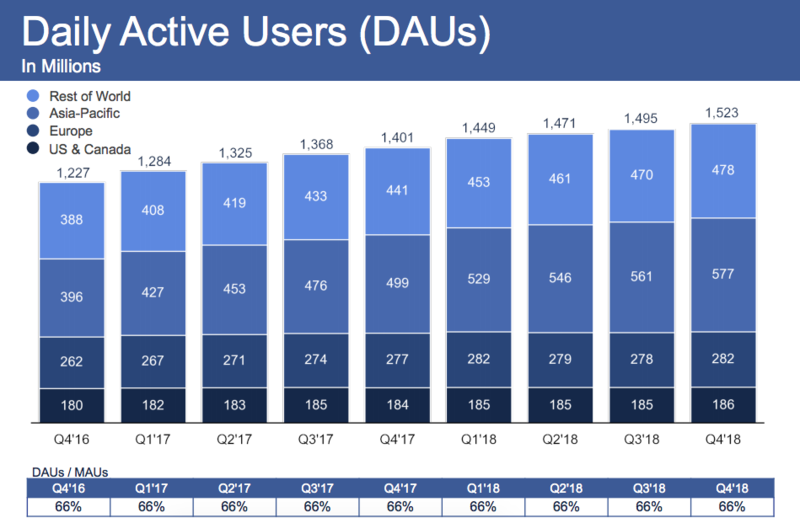 In response to investor concerns that Facebook usage is slowing in North America and Europe, the company has highlighted the importance of engagement on its platform as opposed to user growth. However, Facebook beat investor expectations by reporting positive numbers on both counts. It reported that average revenue per user was $7.37 in 2018's fourth quarter – up 21% from the previous quarter and 19% year on year. Meanwhile, daily active users across all Facebook platforms (Facebook, Instagram, Messenger and WhatsApp) were up in every geographic area, apart from the US and Canada, which were flat. Emarketer's principal analyst Debra Aho Williamson said: "With these results, Facebook has clearly demonstrated that the challenges of 2018 have not had a lasting impact on its ability to increase both revenues and usage. Facebook also increased its headcount by 42% to 35,587 last year, contributing to a rise in costs to $30.9bn (up 51% year on year). Zuckerberg said of Facebook's earnings: "We've fundamentally changed how we run our company to focus on the biggest social issues and we're investing more to build new and inspiring ways for people to connect."